Games of chance are popular, because they add a little unpredictability to life. Sure, thousands upon thousands of players who make the pilgrimage to Las Vegas each year walk away with a lighter bankroll than they arrived with, but for those special few that defy the odds and beat the house, few things in life are sweeter. The bad news is that casinos know what they’re doing. The games on offer are designed with pain-staking precision in order to ensure that the house always has the edge. As a result, it’s statistically impossible to reliably win over the long run. The good news is that every rule has an exception, and long term trends aren’t always present in short term play sessions. The key to capitalizing on a hot streak is in understanding the way casinos tick. Forget about illegal options such as cheating or stealing chips. These will get you in hot water faster than a trip to the hotel’s hot tub. Instead, you need to focus on smart play methods that maximize your chances. The following tricks could improve your chances of winning, so pay attention! Playing the right games can make a huge difference on the success of your casino visit. Take a moment to decide on your casino goals. Would you prefer to win a ton of cash on a single bet, or are you looking for a longer profitable run throughout the night? How much money are you willing to risk? After you determine what you’re after in a casino visit, you’ll be ready to get started. After you arrive at the casino, scan the floor for potential game choices. You’ll want to avoid games such as keno and slots. While they’re unquestionably easy to play, they also feature some of the worst odds in the gambling industry. Some table games are much better choices. One game that features good odds and an unparalleled casino experience is craps. Simply put your money on the pass line bet, and enjoy the atmosphere. In most cases, nearly everyone at the table will be hoping for the same outcome, so you’ll have someone to share your highs and lows with. If you’re not a fan of dice, blackjack and poker can also be solid options, but you’ll need some practice beforehand. For blackjack, a decent understanding of basic strategy can greatly improve your odds of success. For poker, it all depends on your competition. Poker, in its many variations, is one of the few games in the casino that lets you play against other players instead of the house. It may seem simple, but choosing the right game to play is huge when you’re looking to overcome the odds and walk away a winner. Beating a house edge of less than five percent is dramatically more likely than the ten to 30 percent or more that you’ll find on slots and keno. Playing the right games is important, but don’t overlook the importance of honing your skills. With proper play and a bit of basic strategy, blackjack features a house edge of as little as 0.5 percent. Casinos can afford to operate on such thin margins, because the majority of players don’t take advantage of the opportunity. It’s estimated that a typical blackjack player gives the house an advantage of about two percent as a result of flawed strategy or playing through emotion. While novice players may believe that the objective of this classic game is to get as close to 21 as possible without going over, the real goal of blackjack is to beat the dealer. Learning the best ways to beat the dealer is all about basic strategy. Despite the huge impact that basic strategy can have on your results at the casino, it’s pretty simple to learn. In as little as a couple of hours, you can improve your odds by roughly four times. In other words, don’t guess. Put in the time to learn your choice of game, and you’ll be rewarded with more success. Another key thing to keep in mind is that rules can vary from casino to casino. Over the years, many casinos on the Vegas Strip have altered blackjack payouts from the traditional three to two payout to a more house-friendly six to five payout. While this may not seem like a huge deal, it can cost you money over the long haul. Be sure to look for games with favorable payouts and odds when visiting a casino. Remember, unusual rule changes and game variations are almost always in favor of the house, so stick to the tried and true classics to maximize your chances. Depending on your choice of game, overcoming the inherent disadvantages is possible. In poker, for example, you’ll need to learn how to read the habits of your fellow players. Should you fold, or would a bluff work? Is your opposition aggressive in betting, or would a large raise cause them to fold? Understanding the strategies and habits of other players at the table is your ticket to huge winnings. Remember, poker isn’t about which player gets the best cards, but who can best outplay the others with bluffs, reads and careful betting. If you want to take home more from the casino than a good time, the key is preparation and discipline. Find a game that you enjoy with decent odds, and study it. A little bit of work can go a long way toward transforming you from a casino newbie into a gambling aficionado. If you’re looking for a place to hone your skills, visit Slots of Vegas online casino. 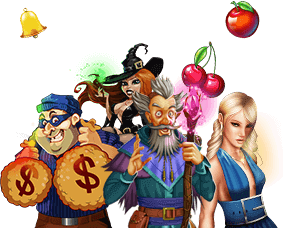 We offer a full selection of casino titles with favorable odds and a rotating selection of industry-leading deposit bonuses. The days of losing at the casino could be drawing to a close if you follow these three simple tips. Are you ready to leverage your newfound insight and become a casino champion?